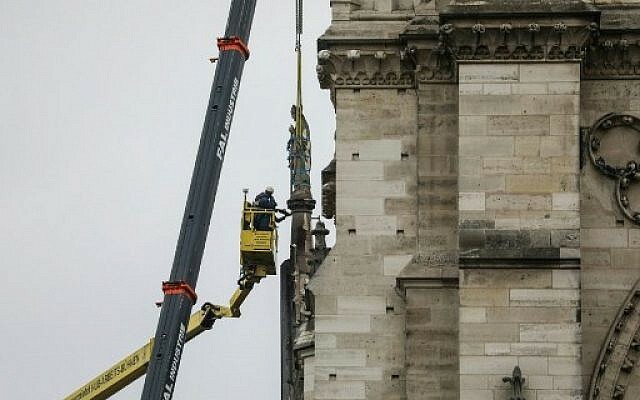 The fire that gutted the Notre Dame cathedral burned for 23 minutes before being discovered by staff, a senior French official said Tuesday giving details on the investigation into the blaze. Paris prosecutor Remy Heitz said an initial fire alert was sounded at 6:20 p.m. Monday but no fire was found. The second alert was sounded at 6:43 p.m., and the blaze was discovered on the roof. A Paris judicial official, speaking anonymously, said staff checked under the roof after the first alarm and saw nothing — but when the fire was discovered 23 minutes later, after the second alarm, it was already too late to stop the inferno, ABC reported. Heitz said the inquiry into the fire would be “long and complex.” Fifty investigators were working on it and would interview workers from five companies hired for the renovations to the cathedral’s roof, where the flames first broke out. Meanwhile, officials hailed the firefighters who saved the main structure and formed a human chain to rescue most of the treasures inside, saying that if they had taken 15 – 30 minutes longer, all would have been lost. 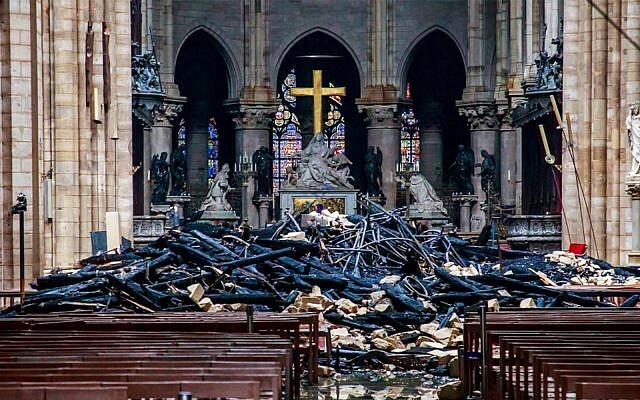 The rescuers also brought out many relics by going inside even as the inferno spread quickly on the medieval roof beams — not least the Holy Crown of Thorns and a sacred tunic worn by 13th century French king Louis IX. “We started to panic when we smelt scorching,” even before the flames emerged, said Philippe Marsset, vicar general of Notre-Dame who watched aghast with horrified Parisians and tourists as the drama unfolded. “Time and the wind were against us and we had to get on top of it fast. We had to make a rapid choice… and the priority we gave ourselves was to save the two bell towers, and both were saved,” he added. “Heritage curators had a prevention plan which indicated what was most important in each room of the building,” said sources close to Hidalgo, who afterwards heaped praise on all involved. “A tremendous human chain formed comprising firefighters, police and municipal workers,” which stretched for some 200 meters (yards) and managed “to save dozens and dozens of artifacts” by passing them along the chain and out to safety, Hidalgo noted. 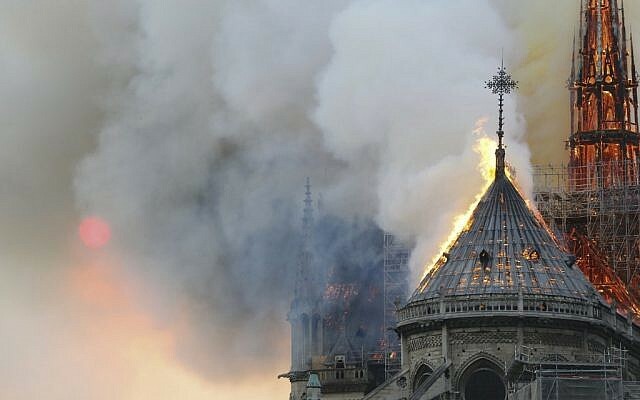 “They put their lives at risk to protect this priceless treasure,” said Monsignor Patrick Chauvet, Notre-Dame’s chief cleric. “Policemen were carrying crosses, firefighters enormous candles and tableaux,” another town hall official said. Three lorries headed off with many of the rescued items, initially to the nearby town hall while interior secretary of state Laurent Nunez reflected that “a quarter of an hour, half an hour” more would have been too late — the treasures would have been lost.